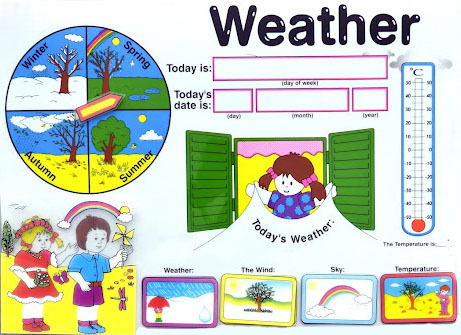 With our brightly coloured weather calendar it is easy to teach even the youngest children the different seasons and weather types. What will the weather be like today, which season is it? Does the sun shine or is it cloudy and what kind of clothes do we have to wear? What day is it today and which month? 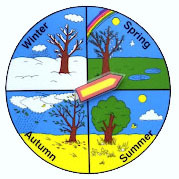 The older children will be able to make their own weather forecast with the calendar every day of the week. Day and date can be written on the calendar with a whiteboard marker. The weather type cards can be attached to the calendar with Velcro. There are 4 different sets of clothes available for the little boy and girl, one set for each season.